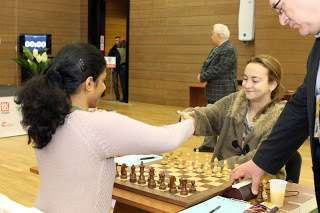 KHANTY MANSIYSK (Russia): Grandmaster D Harika bowed out of the world championship after playing a draw in must-win second game with former Bulgarian world champion Antoaneta Stefanova in the semifinals, which she lost 0.5-1.5. After losing the first game of semis as black, the Indian was under tremendous pressure to score a comeback victory and the situation did not help as Harika could not find anything worthwhile and stood worse when she signed the peace in the return game. However, this was the best ever performance by Harika who had made it to the quarterfinals in the last championship. For her efforts, Harika will take home a prize purse of $16000 after FIDE's 20% deduction apart from some hard-earned rating points. 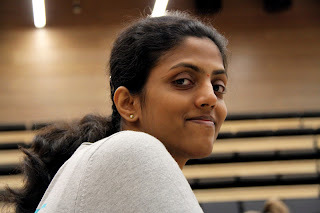 Grandmaster D Harika’s title aspirations suffered a major blow as she lost to Antoaneta Stefanova of Bulgaria in the first game of the semifinal of World Women chess championship in Khanty Mansisysk, Russia. Despite displaying top form so far, Harika could not get things moving well for her in the first game and went down rather easily. The next game is a must win for Harika as that’s the only way to proceed to the tiebreaker with some respite. In the clash between Harika and Stefanova, there was a difference in approach as the Indian tried to make things happen, while the latter waited patiently for something to come her way. Eventually it did. Harika had slight initiative at the cost of a pawn. Normal play in the middle game would have yielded a decent result but in her bid to push for more, Harika went haywire with a piece sacrifice. 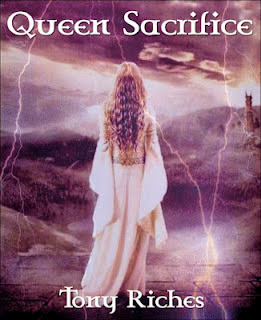 The Bulgarian had to correctly calculate a few lines thereafter and she did not falter. Harika's Spectacular Entry in Women's World Chess Championship Semi-Finals! KHANTY MANSIYSK (Russia): Grandmaster D Harika came up with a spectacular performance in the tiebreak games to beat Zhao Xue of China and enter the last four stage of the World Women Chess Championship. The Indian set the records right after a real scare in the second game on yesterday and displayed top form to win the first rapid game and then drawing the second easily as white. The victory means Harika will not only remain in the championship but will also have a fair chance of having a shy at the title with just two matches to go in the premier women event. Fantastic show by Harika, knocks out Zhao Xue of China to reach semi-finals. In the next round now, Harika will meet Antoaneta Stefanova ofBulgaria who was world champion in 2004. Chinese Ju Wenjun defeated compatriot Hunag Qian, while Stefanova accounted for Marie Sebag of France in the other tiebreak matches. 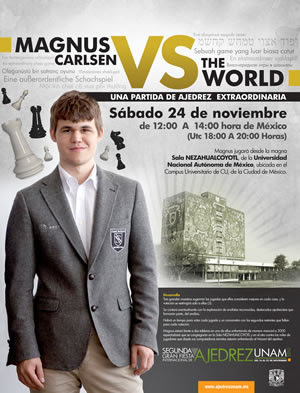 Play Carlsen as World Chess Team this Weekend! 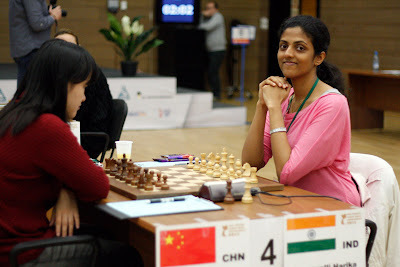 MANSIYSK (Russia): Grandmaster D Harika played a sensational game to survived the match against Zhao Xue of China in the Quarter Finals of the Women's World Chess Championship on Wednesday. 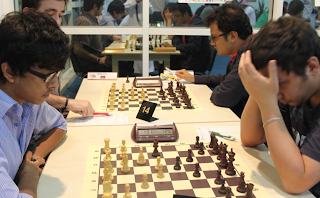 After drawing the first round, Harika played with white and missed serious tactical chances. 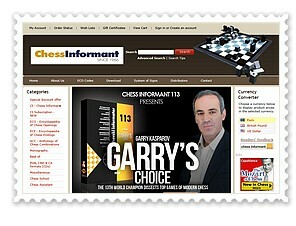 However, a late blunder by Zhao in a completely winning position allowed Harika to escape with a draw through perpetual checks. Anna Ushenina of Ukraine made it to the semifinals defeating fancied Nadezhda Kosintseva of Russia in the second game. Ushenina won by 1.5-0.5 and sent back the last remaining Russian in the championship. Harika remains in the championship as the last Indian in the fray since the ouster of top-rated Koneru Humpy in the first round. 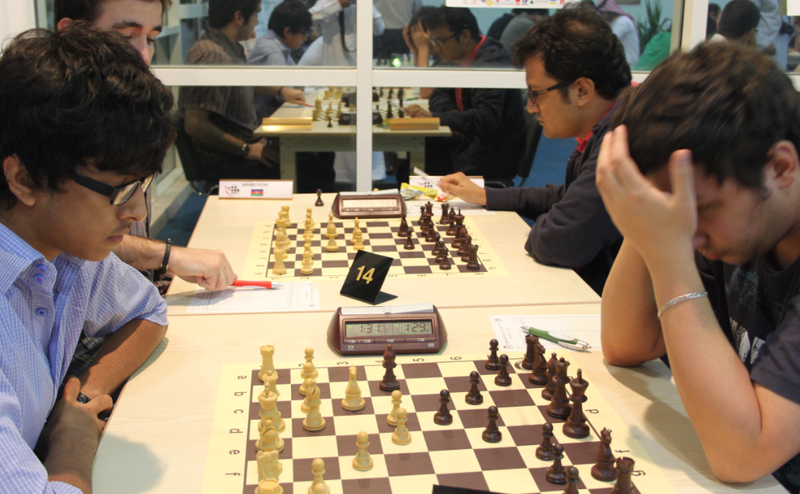 FUJAIRAH (UAE): Grandmasters Surya Shekhar Ganguly and Sandipan Chanda settled for a quick draw and shared first place along with Alexander Moiseenko of Ukraine in the Fujairah International Open Chess tournament that concluded on Wednesday. There was an added incentive for Ganguly after the ties were resolved as he had the best tie-break score among three players tied for the top slot. The Indian rose back to form from this tournament and stands to gain around 20 rating points which certainly is a huge gain at present level. Sandipan finished third overall after a bad start and was also visibly pleased with his excellent results that included victories over the top two seeds - Baadur Jobava of Georgia and Liem Le Quang of Vietnam. KHANTY MANSIYSK (Russia): Grandmaster D Harika marched her way to the last-eight stage of the World Women's Chess Championship after disposing the challenge of Lela Javakhishvili of Georgia in the second game of the third round. 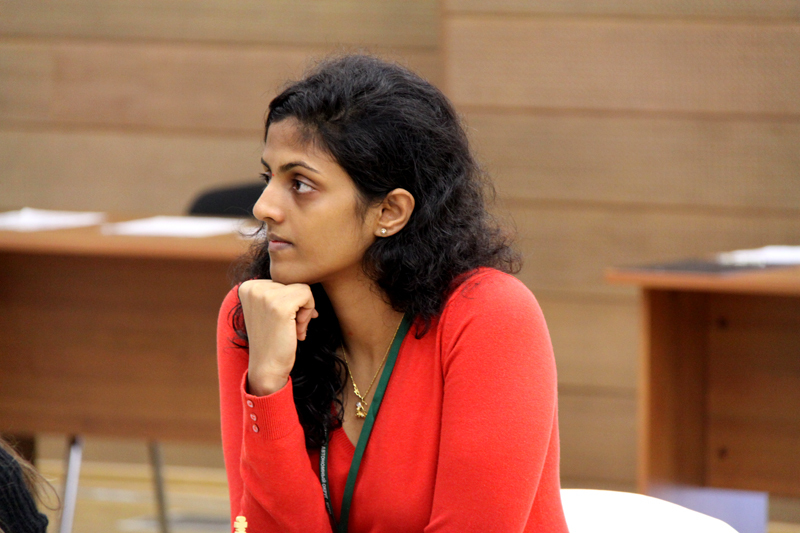 After drawing the first game easily with black, Harika played to her strength and outwitted Javakhishvili. 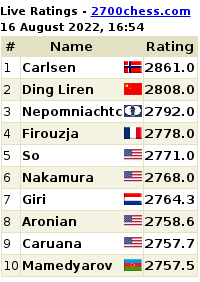 The 1.5-0.5 victory also helped Harika gained some rating points apart from more assured prize money. After the exit of top three seeds, fourth seed Zhao Xue of China also made it to the quarters following a victory over Mariya Muzychuk of Ukraine. 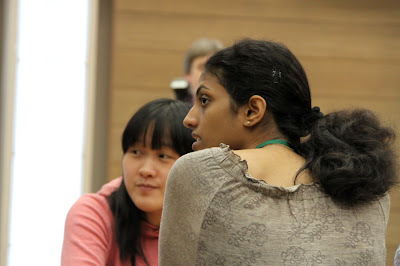 Like Harika, Xue had also drawn the first game as black and a victory ensured her passage to the next round. Harika and Xue will meet in the next round now. The championship this year is played on a knockout basis and highest rated Koneru Humpy, defending champion Yifan Hou of China and third seed Anna Muzychuk of Slovenia were ousted in the second round itself.